I'm a freelance web designer based in Manchester, doing projects based out of both the UK and the US. I help businesses of all sizes develop an online presence that are both clean, useable and easily accessible. For most design projects, I utilize the Squarespace content management system to help my clients develop elegant solutions to complex problems, producing websites that they can control and develop content as their online presence grows. I am also a highly regarded commercial photographer who can help you personalize your website with unique, high-quality images. Please contact me to learn more or get a custom quote on your web design project. 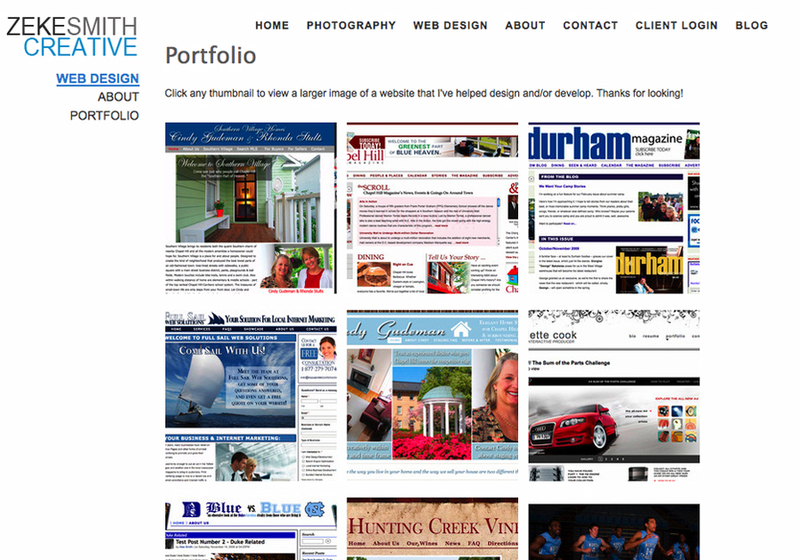 A screenshot from the web design portfolio section of my site, Zeke Smith Creative, where I offer web design/development and photography services.